A bright & spacious apartment in an outstanding location. With two courtyards and plenty of outdoor space, you'll enjoy those sunny days right throughout the year. A unique space for a quiet stay and quality experience. All this only moments away form everything this neighbourhood has to offer. The location is simply outstanding. We are at the centre of everything and you can walk everywhere around town from our place. The apartment has been fully renovated and furnished to a very high standard. High ceilings and an abundance of natural light through floor-to-ceiling ranch sliders front and back make this a light and airy, spacious apartment. The two courtyards are awesome since it allows you to enjoy the best days of summer outside and all that right in the heart of the city. The apartment is in a residential area and close-knit community, so no parties or gatherings are permitted in the apartment at all times during your stay. This applies to all residents, so ensures you will have a peaceful and quiet stay yourself. Even though private and elevated, the apartment is located in a central city neighbourhood, so you will be surrounded by buildings and other residents. That’s not a downside, since the neighbours are generally a very considerate group of people, but you will be aware of their presence on occasion. Most people actually love it, since you will have a chance to meet locals and quickly strike up a conversation. Live like a local amongst locals and you will love your stay. If, as they say, location is everything, then this beautiful 1-bedroom apartment is most certainly occupying a sweet spot. Little more than a stone’s throw away from the hustle and the bustle of the city, yet tucked away in the best fringe location Auckland has to offer. 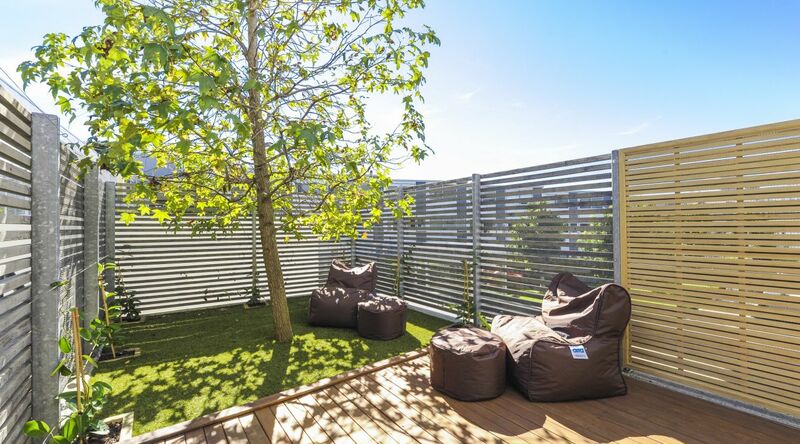 This apartment is well hidden in the urban oasis that is Beaumont Quarter, an award winning, architecturally designed residential neighbourhood, only minutes away from downtown Auckland, Ponsonby and Wynyard Quarter. 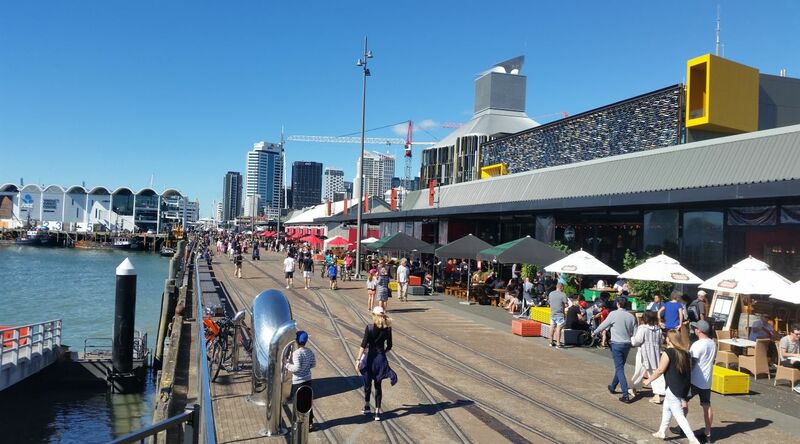 With cafes, bars and restaurants, theatres and entertainment, parks and the inner harbour waterfront as well as the marina only a short walk away, you have everything within reach, but you will come home to an apartment and surroundings so peaceful and quiet, you might as well be in an outer suburbs. This fully renovated, Scandinavian influenced 1-bedroom apartment has it all. It sits elevated above a large central square within Beaumont Quarter, with two landscaped, private courtyards. The larger of the two courtyards is off the open-plan lounge and faces north (the equivalent of facing south in the northern hemisphere) for all day sun. Enjoy breakfast out here or stretch out on the bean chairs or on a blanket under the tree. The smaller courtyard is off the bedroom and offers a peaceful retreat in the morning or at the end of the night. The open plan lounge-dining are has a comfortable corner sofa, just perfect to snuggle up on if you're staying in for the night. Watch a movie on Netflix, listen to your music via the Bluetooth soundbar or kick back and read and relax. Whatever it is, the space is perfectly suited for either. The kitchen is fully equipped with everything you might need or want to whip up a feast with produce and ingredients sourced from the local New World supermarket, which is only a couple of hundred meters down the road and open 'til midnight. Spread out and enjoy your meals at the large dining table or enjoy it outside in the sun. If you’d rather try one of the many local restaurants, you won’t have far to walk and you will not be disappointed. Some of Auckland's best and quirkiest restaurants are within easy reach. In the likely event that you have overindulged and find yourself unable to walk home, you’ll be no more than about a NZ$5-10 Uber-ride away from home. The bedroom, with a custom-made solid timber bed & headboard is tucked away at the rear of the apartment, offering peace and quiet as well as privacy, with the added bonus of the second landscaped courtyard. The bright bathroom offers plenty of storage, a walk-in shower and underfloor heating as well as basic amenities in case you’re running low or, god forbid, your luggage has been left behind at some airport. The laundry has everything you'll need, from a European front loading washing machine to a clothes dryer. We also have a washing line outside and an iron and ironing board. We have tried to anticipate your every need and made sure you'll find what you're looking for. From a Nespresso machine with milk frother, to top quality cookware, soft bedding and a luxurious mattress, plenty of pillows as well as snuggly soft towels. Wifi is not only high speed, but also unlimited and the LED lighting throughout the apartment can be remote controlled. Some of the power points have integrated USB outlets to charge phones and tablets, so don't worry about carrying multiple travel adaptors. If you are travelling for business or need to update your travel diary, we have created a perfectly sized alcove with built-in desk to work at. The apartment comes with 1 secure garage carpark and guests have access to all the common outdoor areas within Beaumont Quarter as well as the recreation centre, which has an Indoor Lap Pool, Gym, Spa and Sauna. We have been Beaumont Quarter residents for nearly 15 years now, so are on hand should you need assistance, whatever it might be. Otherwise, we're quite happy to leave you be. Simply relax and enjoy the apartment and your stay. Whether you are travelling for pleasure or business, fly solo or with a partner, this apartment will take care of any demands you might have. We can even provide a travel cot, should you be travelling with a little one. 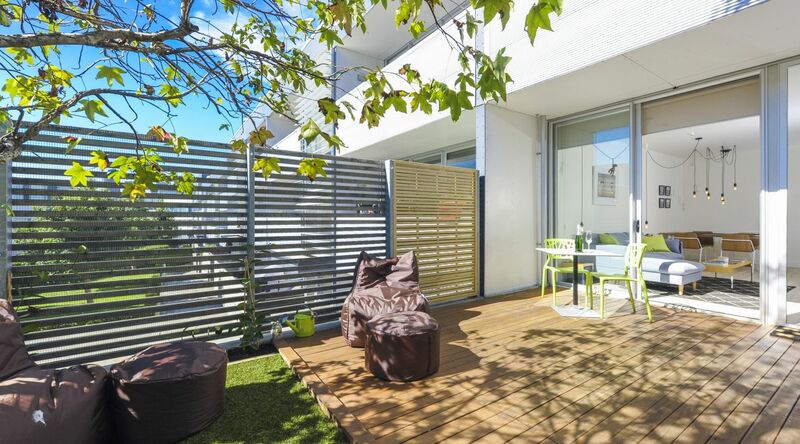 The apartment is the ideal city pad to use as a base to explore Auckland and the islands of the Hauraki Gulf. If you are travelling on business, you will have the CBD at your doorstep and easy access to the motorway system, yet in an environment which is much more welcoming, relaxing and personal than any hotel will ever be.